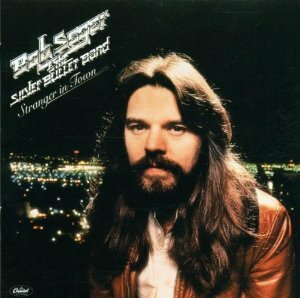 If any doubts linger about Bob Seger’s staying power, they should be decimated by this long-awaited follow-up to the double-platinum Night Moves. On the present set, which boasts effective backup by the Muscle Shoals Rhythm Section and Seger’s own Silver Bullet Band, the gravelly voiced singer underlines his equally strong facility for reflective ballads and rough-edged, blues-based rockers. The variously triumphant and melancholic new lyrics—which Seger predictably imbues with nostalgic references and comments on loneliness—rate among his best to date. The only “scratch” on the record, in fact, is the pair of non-originals. Though those tunes are far enough up Seger’s alley to suggest that he could have written them, their neighbors on the disc tell me that he could have written them better. Highlights include “Till It Shines,” a moving midtempo piece that features a sparkling Glen Frey guitar solo; “Still the Same,” the album’s well-deserved debut hit single; and “We’ve Got Tonite,” which employs a sensitive arrangement and the set’s most affecting vocal to describe an illusion-free seduction.